Whether it's the allure of owning something unique, or it's the sense of numismatic history being defined in a single strike, collecting Error coinage can be an extremely satisfying endeavour. 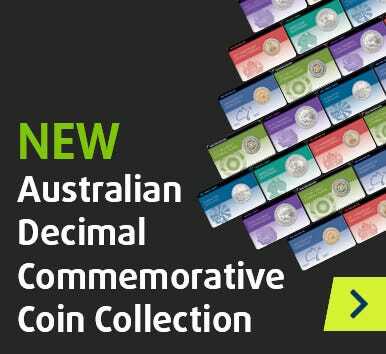 The field has now been made more accessible with this comprehensive guide to Australian Predecimal and Decimal Error Coins! Penned by noted Erros and Varieties specialist Ian McConnelly, this extensively illustrated, full-colour, 156-page publication is the essential guide to Error coins. An excellent gift - and an absolute must for any error coin aficionado - this book represents tremendous value-for-money at just $34.95. Order your copy today!